The Utah Life Real Estate Group had an amazing opportunity to go and serve in Texas last week to help provide relief for families affected by Hurricane Harvey. As members of Keller Williams Realty, the Utah Life Group were headed to Texas for our annual real estate convention. Since the hurricane hit Texas, the convention center became a shelter for Hurricane Harvey victims. 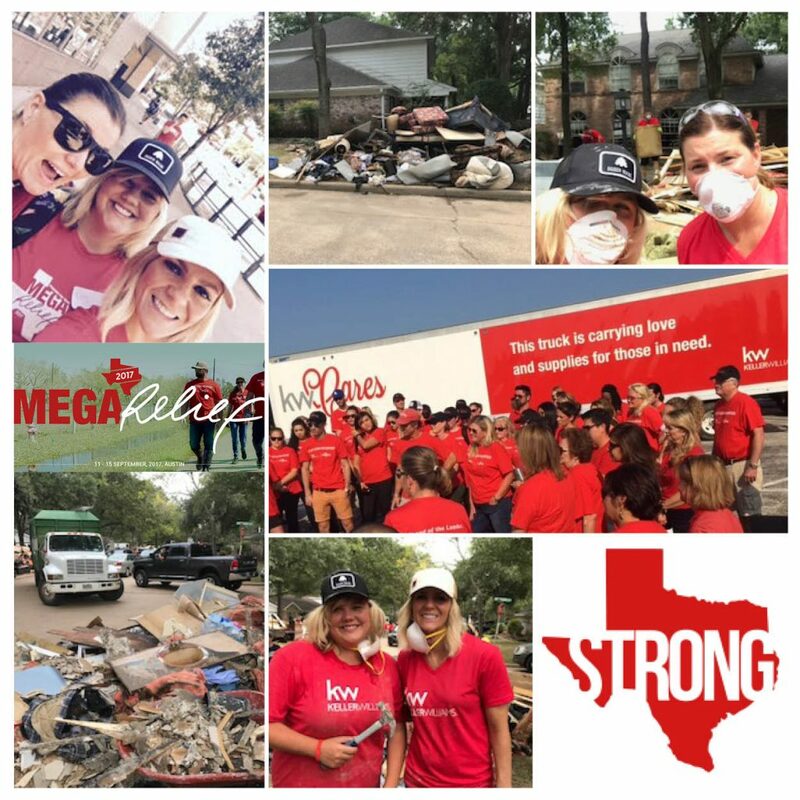 So, Keller Williams decided to switch the conference from “Mega Camp” to “Mega Relief”– a weeklong event focused on providing immediate aid to those impacted by Hurricane Harvey. The Utah Life Real Estate group spent days doing a variety of service. We assembled care packages, built relief kits and wrote uplifting notes to children and families. We “de-mucked” homes hand in hand with the homeowners. De-mucking is the first step to rehabbing a home after a flood. De-mucking consisted of going into a home after two weeks of water damage, removing a family’s personal belongings and placing them on the curb for trash pick-up, ripping the inside of the home down to the studs and sanitizing the inside with bleach. Could you imagine? It was devastating to witness firsthand. “Seeing the community come together in service was something I’ll never forget. Service is a core value of our team. We will serve whenever and wherever we can. We are privileged and grateful to live in this great country and we will recover. The memories made in a home are priceless. The work isn’t over and people still need our help. If you want to help with Hurricane Harvey or Hurricane Irma efforts, contact a member of the Utah Life Group today. We are taking donations, and 100 percent of the proceeds will go to relief efforts. In addition, we are always looking for local service opportunities. If you know anyone who our team can give back too, contact us today at (801)745-0745. We are ready and willing to serve.